What Exactly is an Insurance Deductible? - Lanes Insurance Inc.
What Exactly is an Insurance Deductible? A deductible is one insurance aspect that is present in all policies, but tends to be mostly forgotten about at the same time. When making any sort of insurance claim – whether it be for your home or auto insurance – you will be required to pay a deductible first, which, if you’re not prepared, can be a bit of a hit to your budget and wallet. That’s why it’s recommended to have the amount of your deductible saved at all times to avoid any unwanted surprises. But what is a deductible, anyway, and how does it work? Here we’ll explore why they are a part of every plan, and how they work with your coverage. When looking for insurance or renewing your plan, choosing what your deductible is will play a part in what your overall premiums are. Generally, a higher deductible will allow for lower monthly premiums, but the choice should be based on more than just that. If you drive a lot – meaning you are at higher risk for being in an accident – a lower deductible may make more sense in the long run. A common deductible amount for auto insurance is $500. For home insurance, deductibles are usually higher and can vary based on the type of damage. Home insurance deductibles can also come in three forms. They may be the regular flat rate amount, or be percentage-based upon the insured value of your home. The third option for home insurance deductibles is a “split” deductible, which employs a cash amount for some types of claims, and a percentage-based amount for others. Simply put, a deductible is what you agree to pay towards a claim filed due to loss or damage. Because we all pay insurance premiums monthly or yearly it can seem confusing that there is yet another charge when you file a claim, but there are some very good reasons for the existence of the deductible. First, and perhaps most obviously, deductibles work to deter unnecessary claims. They mitigate against those who may act recklessly under the umbrella of protection an insurance policy provides, perhaps driving recklessly or failing to maintain a home properly. 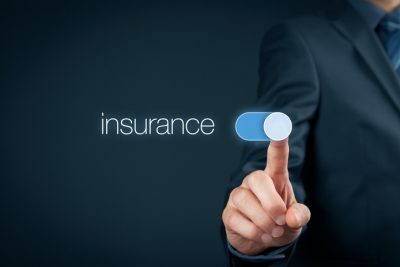 In short, deductibles work to balance the agreement between the insuring party and the insured, ensuring that both are always conscious of working to avoid loss and damage. Plus, if insurance companies had to deal with thousands of small claims each month premiums would undoubtedly rise due to the additional workload. Having to pay a $500 deductible for a car accident resulting in $800 damage – plus having to deal with higher insurance premiums – just doesn’t make financial sense. For a car accident with minimal amount of damage it’s wisest to bite the bullet and pay out of pocket to protect your low premiums. When it comes to car insurance, an insurance option for Alberta vehicle owners with good driving records is accident forgiveness coverage. In essence, accident forgiveness clauses mean that your auto insurance won’t go up after your first at-fault or partially at-fault accident. Many people do not know the difference between an insurance agent and an insurance broker. Understanding that difference could save you money and get you the best service when you need to make a claim. An agent represents a single insurance company, and sells their services and policies. A broker deals with many different insurance providers to find the best coverage and rates available for you. Because a broker is not limited to offering the products of only one company, he or she can customize a policy to meet your needs. As well, a Calgary insurance broker can usually get better rates than an agent because they are free to shop around to different providers. The right insurance can give you peace of mind. An insurance broker knows the products they work with and can effectively cross check different companies’ policies to be sure to tick off all of the boxes on your insurance to-do list. Experienced brokers excel at educating customers, answering questions and explaining coverage, so you know you have the best insurance for you and your family. At Lane’s, we don’t make you fill out long and complicated forms in order for you to receive a quote. If you are looking to explore your options for auto, home, condo or commercial property or vehicle coverage, just give us a call at our Calgary, Edmonton, Banff or Alberta-wide offices. We are happy to help! Tags: auto insurance deductiblehome insurance deductiblewhat is a deductible?